Swathi Reddy at Tripura promotional event in a traditional pink Banarasi saree. 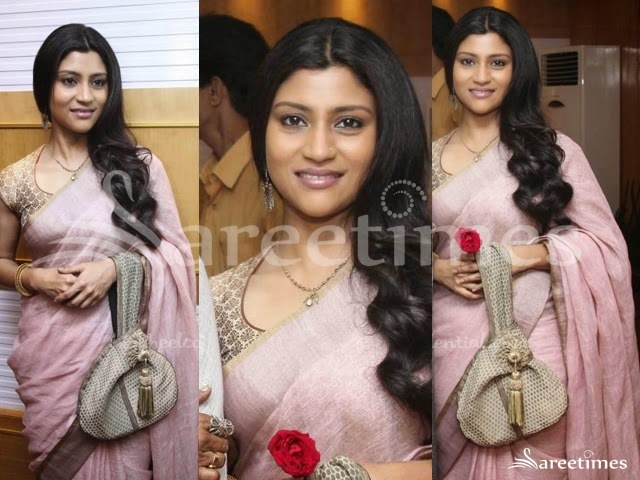 Actress Konkana Sen Sharma at Sajarur Kanta Premiere in plain light pink sari style cotton saree, paired with short sleeve printed designs over the blouse with crew neck patterned blouse designs. 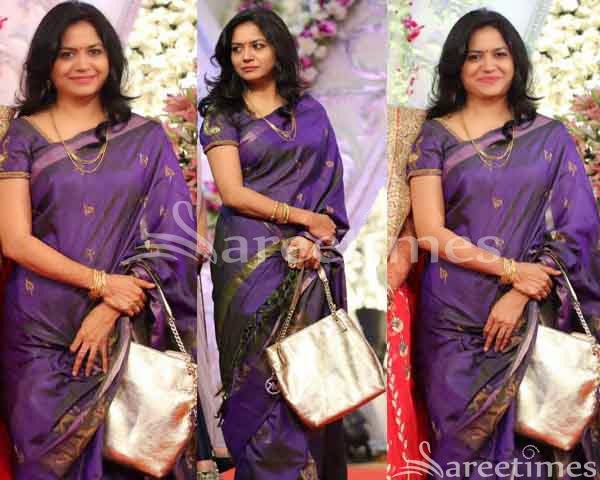 Singer Sunitha at Aadi's wedding reception in purple color light weight silk saree with peacock bhutis and peacock border over the pleats, paired with purple color short sleeve blouse with peacock embroidery on sleeves. Actress Sneha in yellow colored silk saree , golden color polka dots over the saree and golden zari at the border, paired with green short sleeves, v neck blouse with golden zari over the blouse. Actress Nayanthara in an ad shoot wearing a white and pink half and half banaras saree. 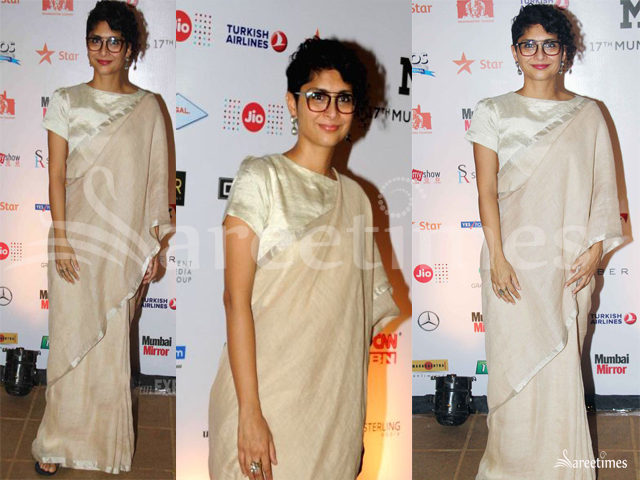 Gold embellishments all over the saree paired with a short sleeve designer blouse.